Groceries can be expensive. In fact, for years I was paying at least $250 a week for a family of four. That’s one thousand dollars a month. That’s a mortgage payment. I don’t know about you, but that’s too much for groceries. Way too much. But, how do you spend less and not live off of Ramen Noodles for every meal? As tasty as they are, I kinda like to have some variety. 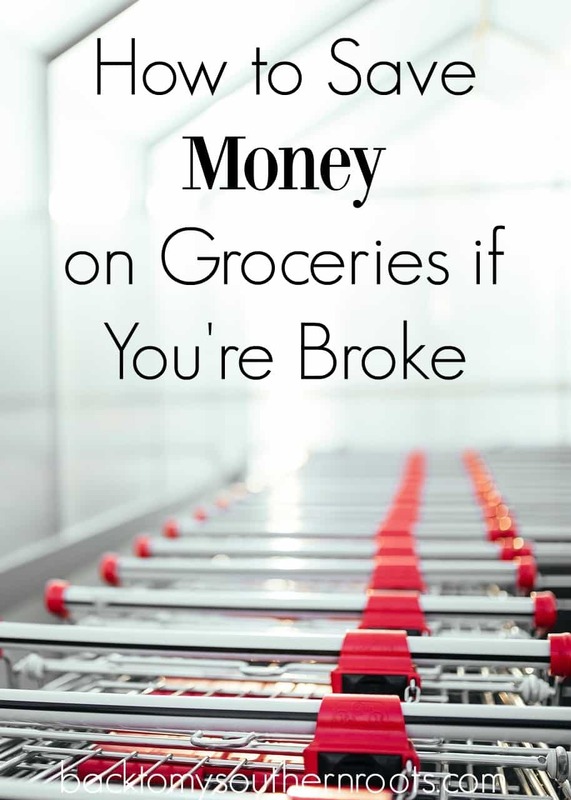 When your money is tight, the last thing you want to do is go broke on groceries. I’ve been there. There’s nothing worse than not even having enough money to get a Snickers in the check-out line. Let me share a few ways that I have learned to save on groceries. And, I’ll tell ya, every penny counts. One of the best things I’ve ever done is sign up to receive emails from local grocery stores–all of them. That way, I know what sales are coming up and I can plan out which coupons to use, and what stores I need to go to to get the items I need. For example, Publix sends out a weekly list of new digital coupons. I can go through the coupons and check off what I need to add to my list. I can combine the digital coupons with the paper coupons and really save some money. If you’re lucky, there are a few times sales are promoted through email before they post the sale at the store for the general public. Seriously, I am a savings nerd–and proud of it. I don’t need a pocket protector for pens, I need one for coupons. Get to know the people that work behind the counter. Not only will you get to know some fun and interesting people, but you will also learn how to navigate the grocery store and the sales. One clerk informed me that I could call ahead and order my meat and chicken the day before the sale, so I don’t have to guess when it will be rolled out onto the floor (there can be a mob of people when the sale meat is rolled out). When I call in to make the order, I can also specify how much I would like. On the day of the sale, I simply walk in the store, go to the meat counter, and tell them my name. Done! It’s that simple. 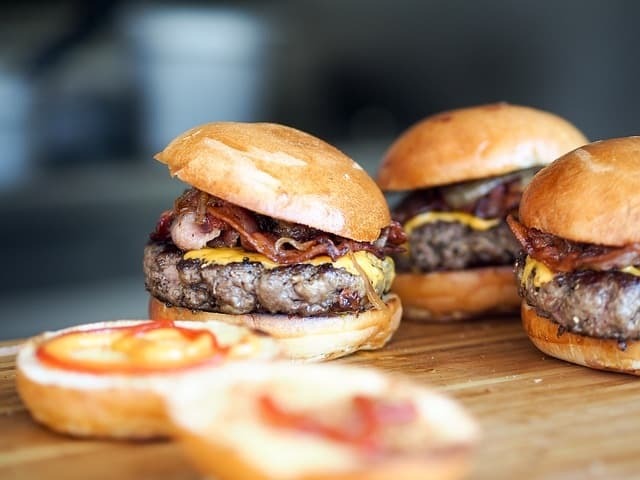 Generic foods almost always taste as good (sometimes better) as the name brand. You will see a huge savings in your pocket when you switch to generic. The packaging might not be as exciting, but the inside is what counts. Many brand manufacturers make some of the generic brands. So, at times, you might be getting a brand name item in a generic package. And, you’re saving money. Don’t be afraid to walk away from the Big Box stores to do your shopping. I shop at a local store where I have to bag my own groceries, but I don’t mind a bit. We’ve found that, oftentimes, we like the food better from this store. I even figured out last week that my whites are whiter, and the bleach I now use is HALF the price of the name brand. So many of their products taste fantastic, and I am paying half of the price of a big name store. Almost every store offers a savings card or program. When you get on the store website, you can “clip” digital coupons that will transfer over to your savings card. Sometimes, you can leave the card at home, and enter your phone number at the register when checking out (since I tend to have a tough time keeping track of my savings cards this works well for me). Many stores will print out a coupon or a money savings receipt to use the next time you go into the store. I recently bought some shampoo, checked out, and received a $2 savings receipt for any item the next time I shopped at Walgreens. Can’t beat that. At times, it can take longer to go to more than one store for savings, but you will learn how to shop more efficiently. I now spend less than $500 a month for groceries. That’s HALF of what I used to pay, and we are still eating very well. Once you get the hang of it, finding savings is an easy task. You will be amazed at how much you can save, even in one week. Go on out and give it a try. Let me know in the comments what you’re saving!